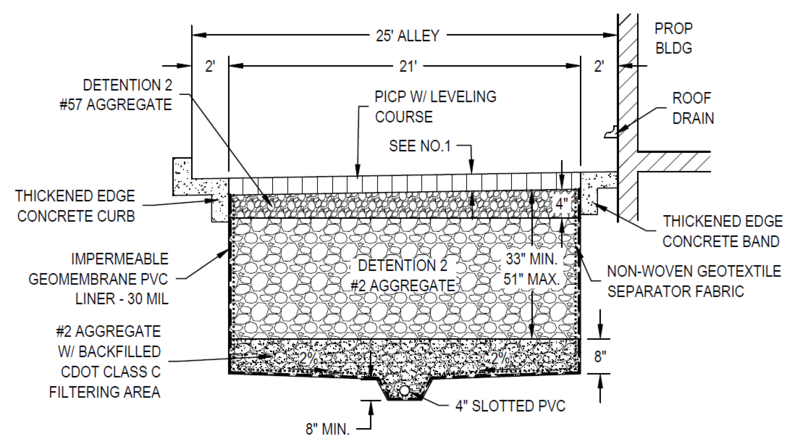 UDFCD is monitoring two different permeable pavement sections in the green alley located at the Industry site on Brighton Blvd in Denver. 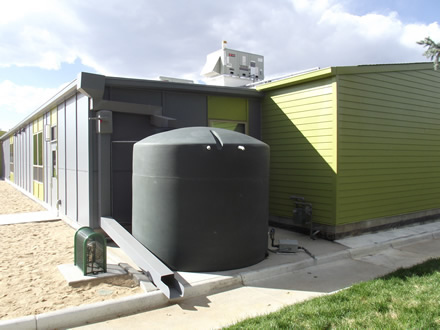 This cistern collects runoff from the new building at DGS and uses this for irrigation of the adjacent landscape areas. Almost 0.5 acres of this 3-acre garden sits on top of a parking structure. UDFCD partnered with the City of Lakewood and the Urban Watershed Research Institute to construct a new rain garden. At Grant Ranch, this Extended Detention Basin (EDB) is the first step in a treatment train approach used to treat stormwater. We expanded our permeable pavement research when we added a new type of permeable pavement at our BMP test site in Lakewood, CO.